So apparently I never actually posted this yesterday, so you guys luck out. 2 posts today!!!!!!!!!! The story for the man who wrote this hymn, Robert Robinson, was actually quite inspiring. After the death of his father, his mother sent him to London to become a barber. Instead he learned to drink and became a gangster. After an unsettling encounter with a fortune teller, he and his buddies attended a meeting being held by George Whitefield, a very prominent evangelist. Three years later, after being haunted by the preachers words, Robinson gave his life to Christ. He then entered into the ministry. He wrote this hymn in order to accompany a sermon he was giving, and it has been a Church favorite ever since. The last couple strains of this song really hit me this week, “Prone to wander, Lord, I feel it, Prone to leave the God I love. Here’s my heart, Lord, take and seal its, seal it for Thy courts above.” It speaks to our sinful nature and how we constantly feel a need to run from God. But then we can turn around and give our lives to God. Not only is this an autobiography of Robert Robinson, but it is also a simple statement on the human relationship with God. This week’s song is an old one! 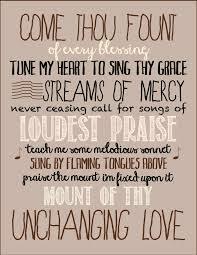 Praise God From Whom All Blessings Flow was written in the late 1600s by Thomas Ken. He wrote it with three stanzas, and with the purpose of helping the boys at the school he worked for. 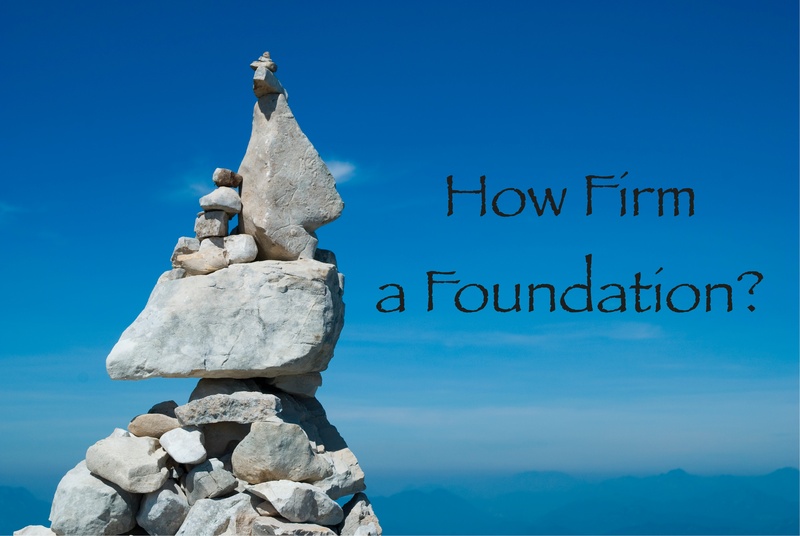 It was designed to help motivate these boys in their daily devotions. One stanza was meant to be sung upon awakening, and the third if the boys had trouble sleeping. 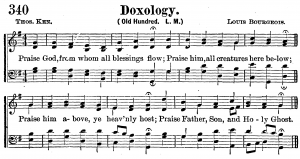 The refrain of this hymn is now commonly known as the Doxology, and is sung by many churches every Sunday. Typically sung for offerings, I maintain that this song is a praise song. When we sing it for our contemporary worship, I always do it at the beginning as a way to bring everyone together and sing praises to their Father from whom all blessing flow! Below I am posting an arrangement performed by the David Crowder* Band off of the Passion: Hymns Ancient & Modern album.